With the launch of an online term plan private life insurer Max Life Insurance has entered into e-commerce. In India the e-commerce business is currently valued at around Rs.60 thousand crore and the online life insurance market is estimated at over Rs.200 crore. The plan is tailored to provide comprehensive protection through three different death benefit options- the tax-free level or increasing monthly income in addition to one-time sum assured and the traditional option of one-time tax-free sum assured. It also offers policyholders a comprehensive accident benefit rider, which along with death benefit, also provides on dismemberment benefit due to an accident. Mr. Rajesh Sud, Chief Executive Officer, Max Life Insurance, said, “E-commerce will help us in reaching customers whom we were not able to efficiently connect with through our existing channels. The company plans to introduce a bouquet of long-term savings and protection solutions over the next two years." 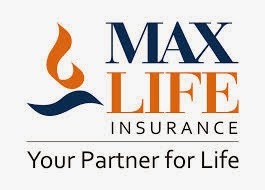 Max Life Insurance is a joint venture between Max India Limited, a leading Indian conglomerate, and Mitsui Sumitomo Insurance Company of Japan.